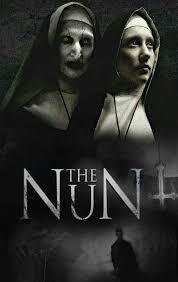 New in Theaters September 7, 2018 "The Nun" and "Peppermint"
If you're a fan of horror / thrillers, “The Nun” may not be your cup of hemlock. Its weak script and poorly flushed out characters are trying (maybe a little too hard) to scare you. So hard in fact, you almost feel sorry for the cast in this second-rate, don't look behind you, predictable attempt at a horror movie. Instead of developing the story into a slow to boil thriller, “The Nun” degenerates quickly into a jump-scare, quick cut mess. Pass it by. It gets a D and is rated R.
Starring: Jennifer Garner and John Gallagher Jr.
“Peppermint” is a revenge story centering on a young mother who finds herself with nothing to lose, and is now going to take from her enemies the very life they stole from her. Jennifer Garner is the film's only redeeming ingredient. Garner takes this physical role with a great deal of earnest effort. But, in spite of Garner's action sequences, “Peppermint” is just a bland and uninspired movie audiences will forget as easily as tossing an empty popcorn bucket into the trash on the way out of the theater. 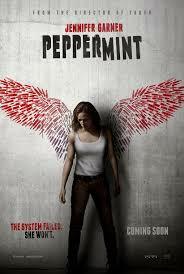 “Peppermint” gets a D and is rated R.